Lokomotiv Kuban went from the fringe of the Last 16 to first place in its group on Wednesday with a big win over Trefl Sopot and at the heart of the victory was forward Derrick Brown, who also reaped Week 6 MVP honors. Brown starred with 34 points and a performance index rating of 39 – the best among all players on winning teams – to earn the prestigious individual honor. He made 11 of 12 two-point shots, was perfect on three tries from behind the arc and also collected 5 rebounds and 3 steals as Lokomotiv won 70-87 to win Group E with a 4-2 record. The top index rating of the week – and second-best of the season – belonged to Matt Walsh of Belgacom Spirou Basket, who attained a 43 index in a narrow loss at Bilbao Basket. Walsh scored 27 points, grabbed 14 rebounds and dished 6 assists. Bilbao’s Lamont Hamilton was next on the list of Week 6 stars with a 35 index. Hamilton scored 22 points, grabbed 7 rebounds and blocked 2 shots for the men in black. Rounding out the list of top performers are Lokomotiv guard Nick Calathes and Valencia big man Bojan Dubljevic, each with index ratings of 33. Calathes picked up 12 points, 8 rebounds and 14 assists. Dubljevic scored 26 and grabbed 8 boards in a victory over BC Azovmash Mariupol. 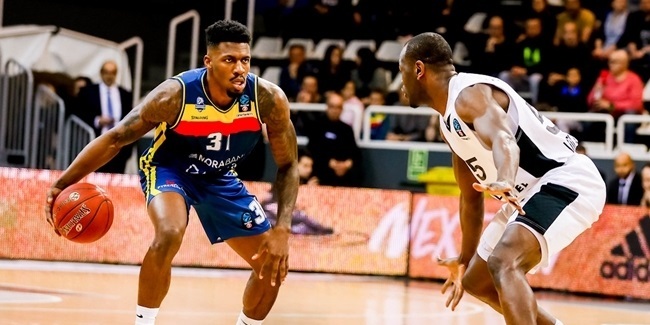 With 34 points, Week 6 MVP Brown not only led all players for the week, but tied Panionios guard Nikos Pappas for the most points scored in a Eurocup game this season. Stelmet Zielona Gora point guard Walter Hodge finished the regular season as the Eurocup’s top scorer with 22 points per game. Walsh’s 14 rebounds were the most of the week. Oliver Stevic of Zielona Gora and Aleks Maric share the title of regular season top rebounder with 8.3 per game each. Calathes came within 1 assist of the Eurocup record when he dished 14 in Lokomotiv’s victory. Calathes finished the regular season with 6.5 assists per game, second only to Dinamo Banco di Sardegna Sassari’s Travis Diener (8.5 apg. ), who set the Eurocup single-game assists record earlier this season. Chuck Eidson was Week 6’s top ball thief with 5 steals in a road win at Telenet Oostende. Panionio’s Pappas was the regular season steals king with 2.7 steals per game. Panionios big man Chris Booker and Adam Lapeta of Stelmet Zielona each rejected 3 shots Wednesday to lead all Week 6 players. Lapeta tied Banvit big man Chuck Davis as the regular season’s blocked shots leaders each with 1.5 blocks per game. Four players posted double doubles in Week 6: Walsh, Calathes, Zach Wright (11 points, 10 assists) of Spartak St. Petersburg and Stevic (11 points, 10 rebounds). 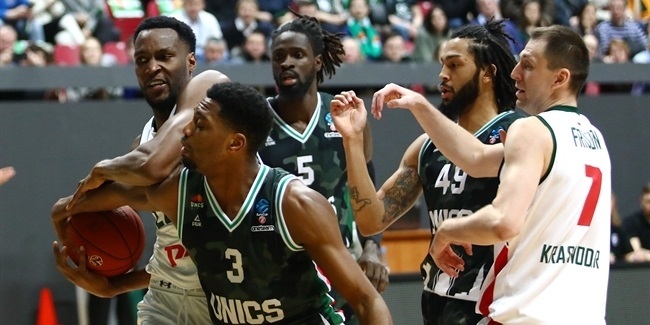 Defense was the big storyline of Lokomotiv Kuban Krasnodar’s 68-59 win over UNICS Kazan’s in Game 2 of the quarterfinals. 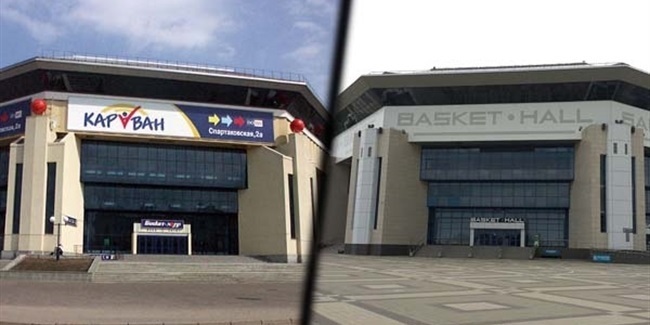 When is home-court advantage not home-court advantage?